Bob McCarty seems a little obsessed about video of the Oklahoma City bombing that occurred 16 years ago. Back in 2009, McCarty wrote on his blog, "Bob McCarty Writes: The Ultimate Blogging Machine," a piece regarding the bombing of the Alfred P. Murray Federal Building, in which he interviewed a conspiracy theorist David P. Shippers, chief investigative counsel for the U.S. House of Representatives Judiciary Committee during the Clinton Impeachment Hearings and as manager of the proceedings that followed in the U.S. Senate, who believed the the Oklahoma City bombing was permitted by the Clinton administration to help clinch the 1996 election. “My honest opinion is that the original shot was made by (President Bill) Clinton in 1995,” Shippers told McCarty. “Remember, it was 1995, and he had lost the congress — both houses of Congress — and people were saying he would never get reelected, and his numbers were way the hell down." 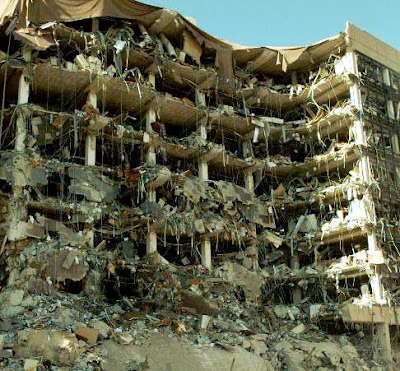 Shippers is referring to the belief that Timothy McVeigh did not act alone and was aided by an Iraqi terrorist by the name of Hussain Al-Hussaini. Had Clinton acknowledged Iraqi involvement, Shippers insists he would have had to go to war with Iraq. Shippers didn't stop there - he believes the Bushs made a pact with the Clintons to avoid a "legitimate reason" to invade Iraq. This conspiracy is of interest to McCarty because as he puts it in his Big Government post, he sides with author Jayna Davis who believes there is a Middle Eastern connection, and McCarty believes this for one reason - he wants the Oklahoma City Bombing to be an act of Muslim terrorism, not an anti-government Christian extremist. 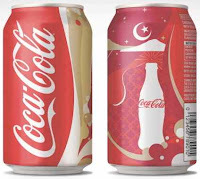 After all, look at some of McCarty's other posts, like the one where he complained that Coca-Cola made a special can for Ramadan to be sold in countries with high Muslim populations such as Turkey, Saudi Arabia, Pakistan, Indonesia, Morocco, Tunisia. 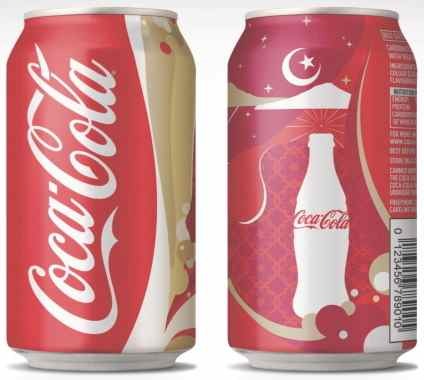 McCarty felt it unfair that during Christmas Coca-Cola features Santa Claus, penguins, and polar bears. McCarty also believes the Flight 93 memorial is an Islamic monument pointing to Mecca. So, taking into consideration that McCarty has a bias against Islam, with his belief in a vast Muslim conspiracy regarding everything from government memorials to Christian bombings, why would anyone take this guy seriously?